Wood is the only renewable choice of building material for flooring. Plastics are derived from fossil fuels, concrete and other forms of flooring can damage our environment through the energy it takes for their production. Wood is a renewable, natural resource that naturally grows in abundance. England was once covered by lush green forests. Even though we’ve cut most of it down, our forefathers had the sense to replant large forests. Despite this, we don’t get a lot of our flooring from our own resources in the UK. Most of our country’s Oak flooring now comes from Europe, including the extensive forests of Russia, Siberia and North America. All of these countries have a programme of replanting and maintaining sustainable forests. This is done in conjunction with the Forest Stewardship Council (FSC) or other stewardship councils, ensuring that we plant more trees than we cut down. The production of wood flooring uses less energy in its processing methods than any other construction material. For example, it takes 5 times more energy to produce 1 tonne of cement, 24 times more energy for 1 tonne of steel, and 126 times for 1 tonne of aluminium. Young trees also absorb more carbon dioxide than mature ones, so it makes sense to harvest older trees and plant two new ones for every one tree felled. 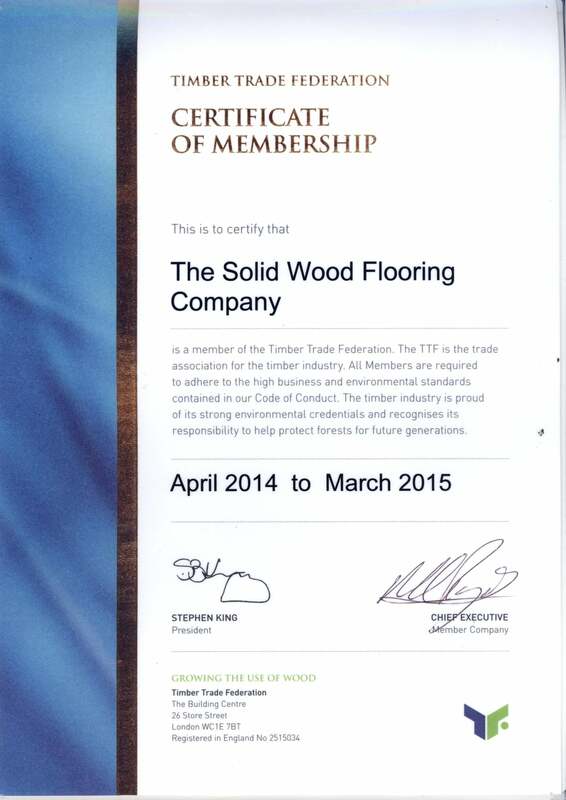 This is why The Solid Wood Flooring Company is a member of the Timber Trade Federation and have an FSC chain of custody certificate. Engineered wood flooring should now be the only choice for any floor. This is because for every 100 m2 of solid wood flooring, you can get 400 m2 of engineered flooring. Our engineered wood floors with a 5 mm solid top layer can be sanded down the same number of times as a solid wood floor. This is due the distance from the top of the tongue.